Tanker 207 is a 2013 Peterbilt Pierce Dry Side Tanker. It is housed at the MTFR Neffsville fire station. Tanker 207 provides 3000 gallons of water to areas without hydrants. 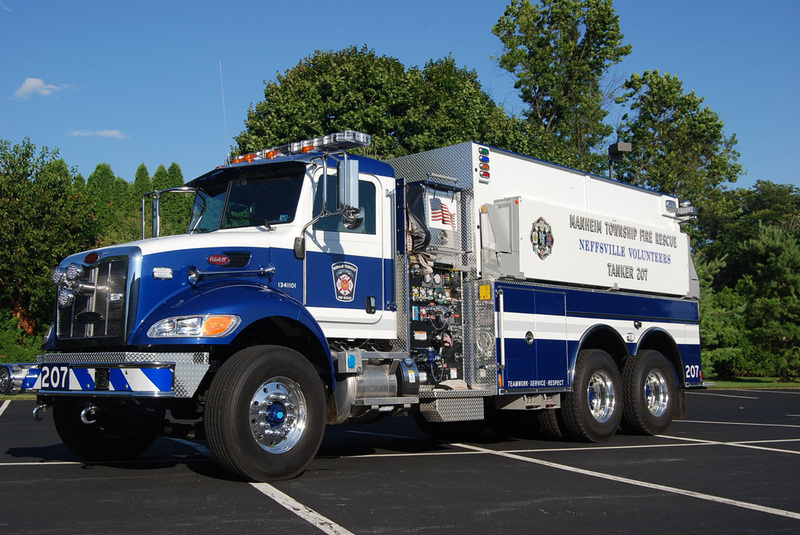 Tanker 207 also has a 1000 gpm pump and, with two (2) pre-connected hose lines, can function as an initial fire suppression unit if necessary. Tanker 207 also carries two 3000 gallon portable tanks that can be filled by a tanker shuttle operation to provide water at the scene of a fire.